A man on a snowmobile purposely drove into two dog teams competing in the Iditarod Trail Sled Dog Race early Saturday morning, killing one dog and injuring at least three others, officials said. ANCHORAGE, Alaska (AP) - A man suspected of intentionally driving a snowmobile into teams of two mushers near the front of the Iditarod Trail Sled Dog Race was arrested Saturday in a Yukon River village. Arnold Demoski, 26, of Nulato was arrested on suspicion of assault, reckless endangerment, reckless driving and six counts of criminal mischief. A message left for Demoski at his home was not immediately returned. 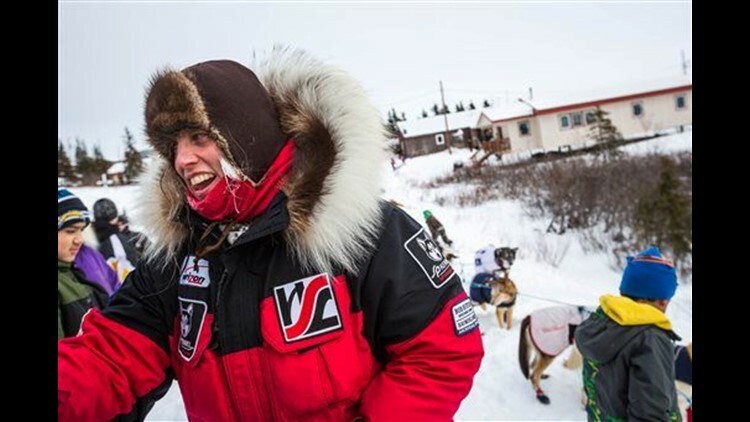 He told the Alaska Dispatch News that he had not intentionally driven into the dog teams of Aliy Zirkle and Jeff King, but he had blacked out while returning from drinking in another village. The crashes killed one of King's dogs and injured at least two others. One of Zirkle's dogs also was injured. Iditarod officials at first reported King had been injured. But the four-time champion said later the snowmobile had missed both him and his sled. One dog on her team was bruised. Officials described the injury as non-life-threatening. This story has been corrected to show the positions, records of Mitch Seavey and Dallas Seavey.